Qiang Du is the Fu Foundation Professor of Applied Mathematics at Columbia. He chairs the Applied Mathematics Program Committee in the Department of Applied Physics and Applied Mathematics, Fu Foundation School of Engineering and Applied Science, and he also serves as a co-Chair of the Center for Foundation of Data Science in the Data Science Institute. Prof. Du earned Ph.D. in Mathematics (1988) from Carnegie Mellon University. He then worked as a Dickson Instructor at University of Chicago, after which he has held tenured faculty positions at Michigan State University, Iowa State University, Hong Kong University of Science and Technology and a number of visiting positions at other institutions. Prof. Du was most recently the Verne M. Willaman Professor of Mathematics and Professor of Materials Science and Engineering at Penn State University, before he joined Columbia in 2014. Recognitions for Prof. Du’s work include Frame Faculty Teaching Award (1992), Liberal Arts and Sciences Award for outreach/extension (2000), Feng Kang prize in scientific computing (2005), Eberly College of Science Medal (2007), SIAM Outstanding Paper prize (2016), ACM Gordon Bell Prize finalist (2016). He was also an invited speaker at the International Congress of Mathematicians (2018). 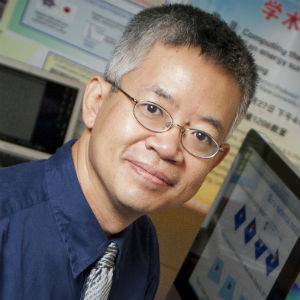 In 2013, he was selected as a SIAM Fellow for contributions to applied and computational mathematics with applications in materials science, computational geometry, and biology. In 2017, he was selected as an AAAS Fellow for his distinguished contributions to the field of applied and computational mathematics, particularly for theoretical analysis and numerical simulations of mathematical models in various applications. Prof. Du’s research interests are in numerical analysis, mathematical modeling and scientific computation with selected applications in physical, biological, materials, data and information sciences. Prof. Du currently serves as a Section Editor (since 2015) and an associated editor of SIAM Journal of Applied Mathematics (since 2012), SIAM Journal of Numerical Analysis (since 2003), Mathematics of Computation (since 2016) and 12 other international journals. He was elected as the Chair of the SIAM Activity Group on Mathematical Aspects of Materials Science (2014-2016). He also served as a representative to the U.S. National Committee on Theoretical and Applied Mechanics, the National Academies (2015-2019).